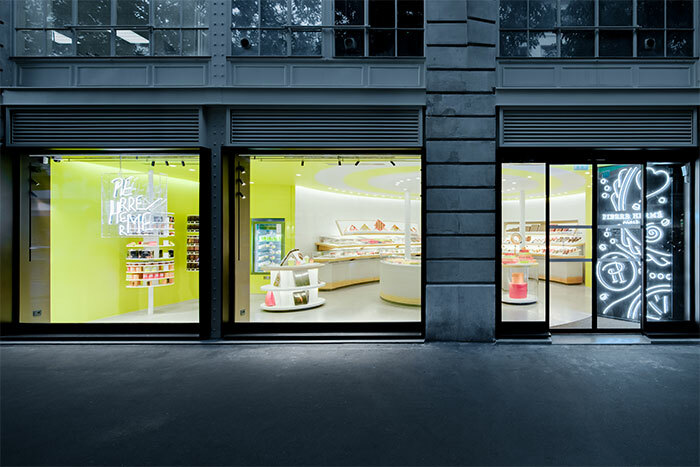 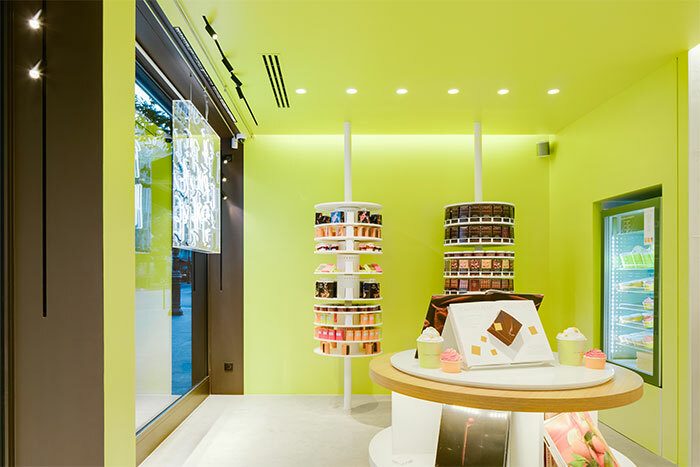 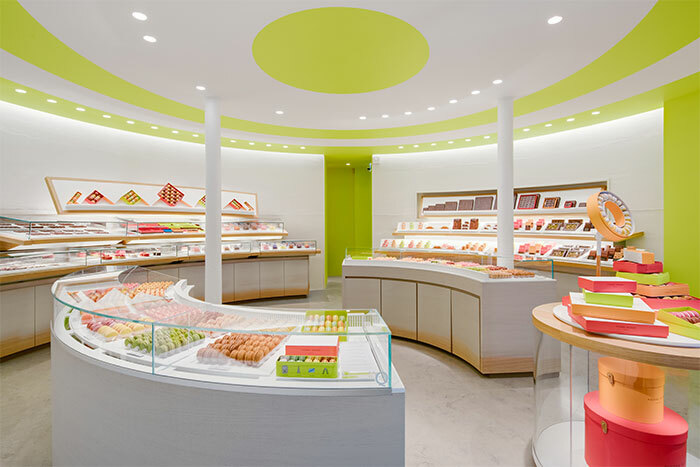 This summer Pierre Hermé has opened a boutique in Paris on 4 rue de Bretagne, in the Enfants-Rouges district. 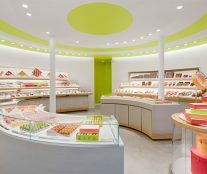 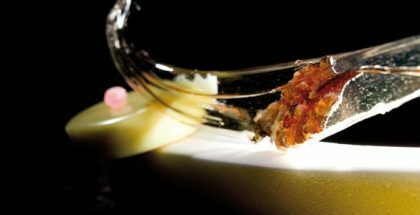 The iconic chef has relied on the architect Jeff Van Dyck to design this new 85 m2 gourmet temple offering chocolates, glacés, confectionery, teas, travel cakes, and other iconic creations. 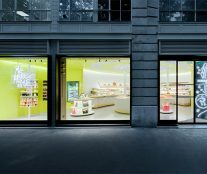 “A universe with materials full of authenticity and modernity where only the products with their nuances and colors stand out”. 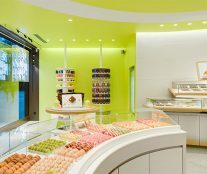 Visitors can also enjoy up to 18 macaron flavors here. 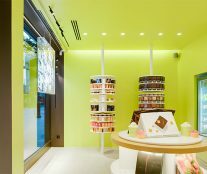 Some, the “Infiniment”, have just one ingredient: Infiniment Rose, Infiniment Jasmin, Infiniment Chocolat Paineiras, or Infiniment Citron. 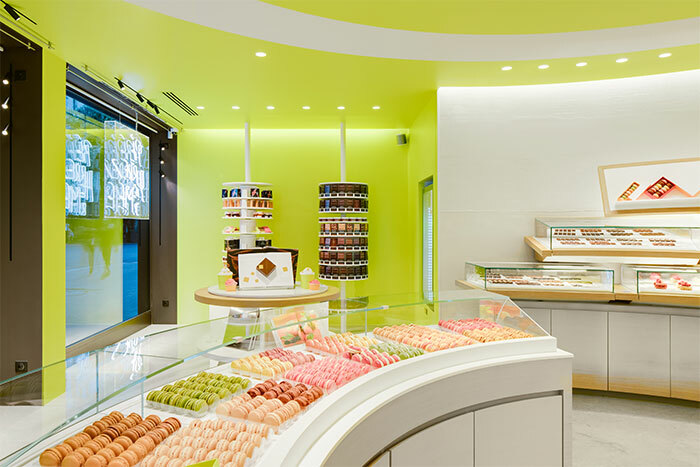 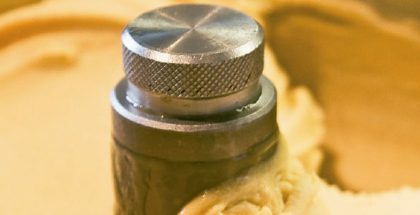 And others, the “Signature”, combine many flavors: Mogador (milk chocolate and passion fruit), Celeste (passion fruit, rhubarb, and strawberry) or Garden of Constanza (coconut, vanilla & green lemon, caramelized toasted pineapples).